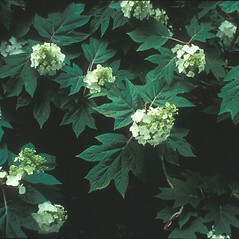 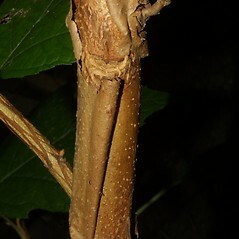 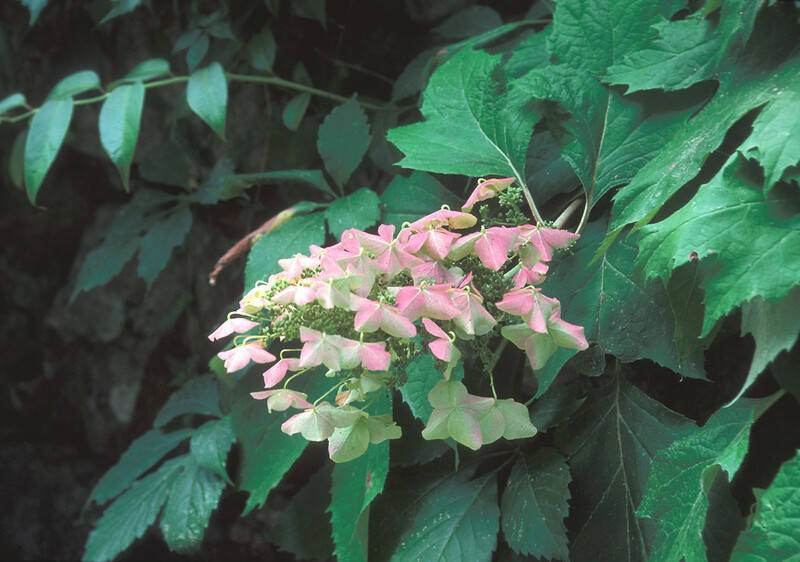 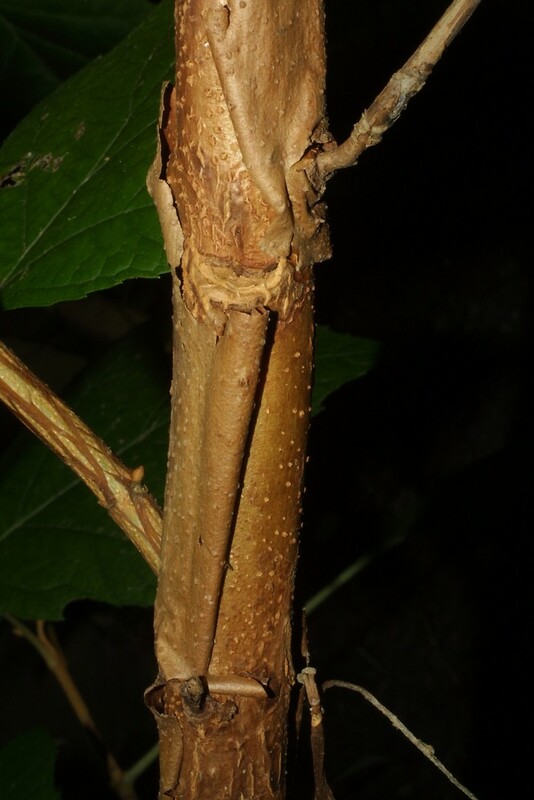 Oak-leaved hydrangea is most common in the southeast U. S., but is recorded from a few roadside localities in New England. 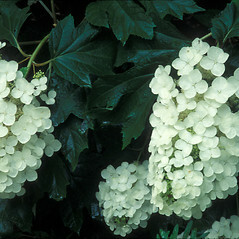 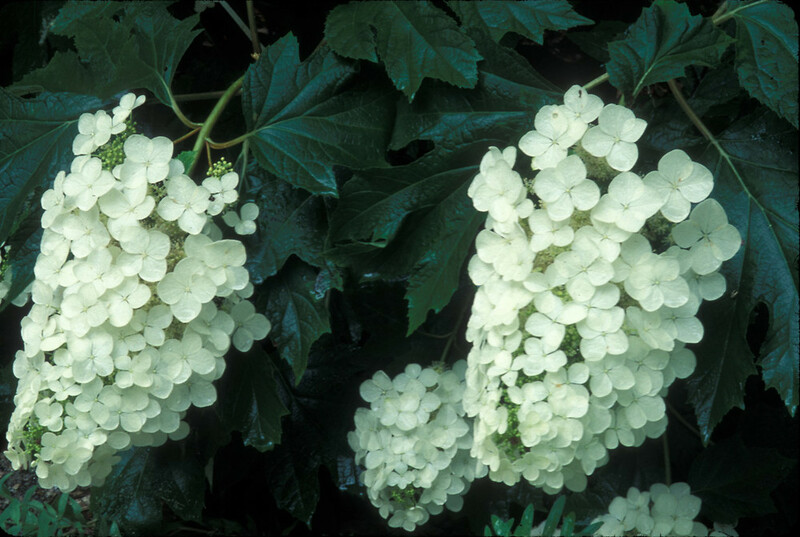 It produces conical spires of showy white flowers in May to July, which gradually turn pink during the growing season. 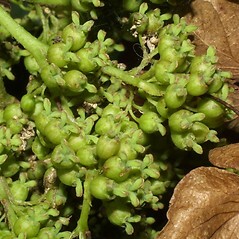 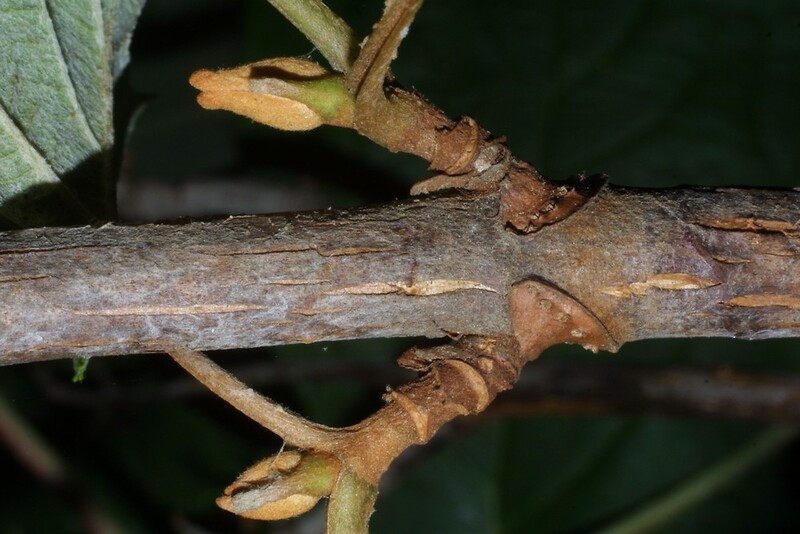 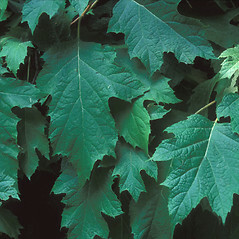 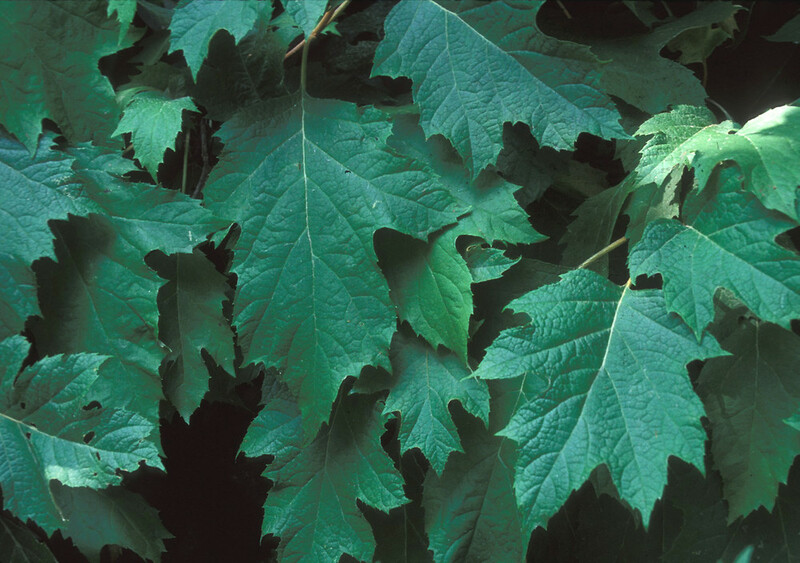 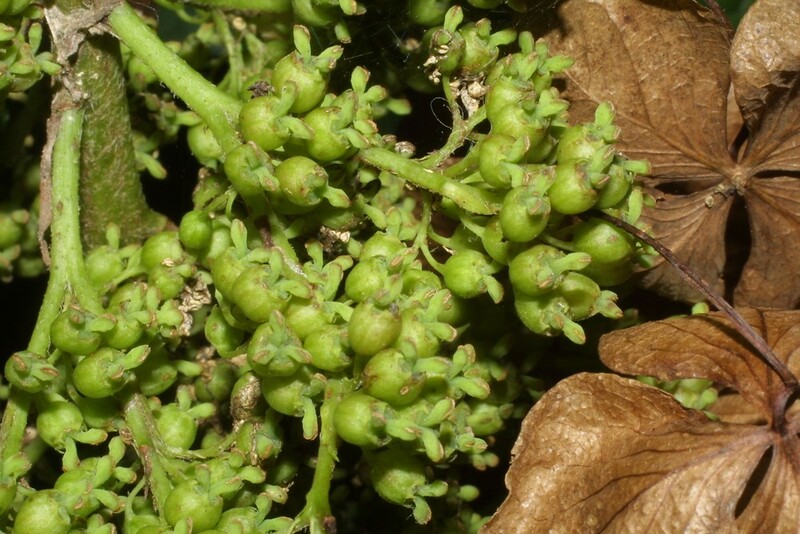 The deeply lobed leaves of this species resemble those of oak, and turn a pleasing crimson-purple color in the fall. 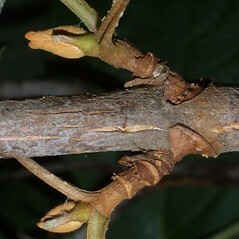 The peeling bark of older plants adds visual interest in the garden. 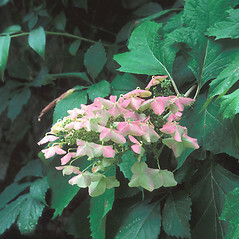 oak-leaved hydrangea. 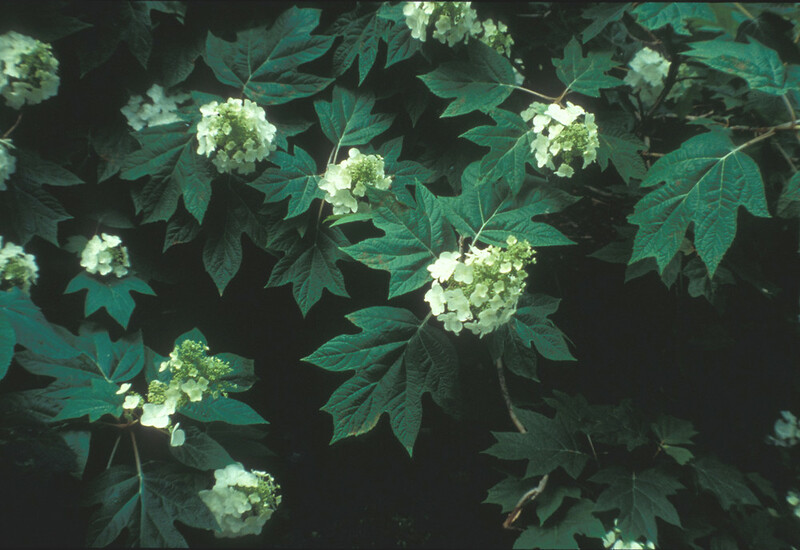 CT. Roadsides, forest borders and fragments, areas of cultivation.